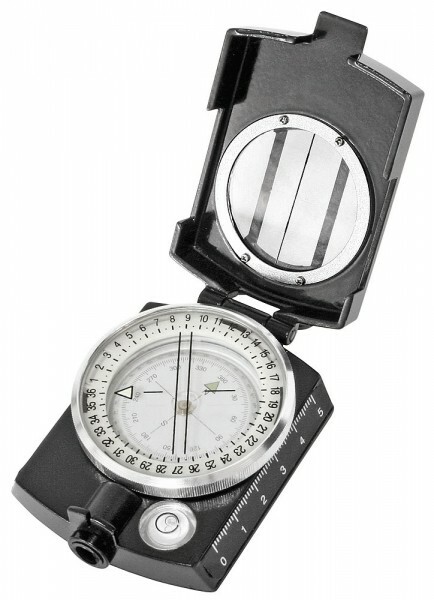 Small, powerful handheld bearing compass with protective cover. Made of non-magnetic material. The compass rose with a 360° scale and an arrow indicating north can be easily read through the inspection window with target line. The face can be rotated by 360°, also features a basic table as well as a lens prism. Weiterführende Links zu "Handheld azimuth compass"